Note: You can delete a only customer who has no team affiliations. In other words, you cannot delete a customer with affiliations. Also, if you delete a customer that has a casual booking in the future, then the customer will still be referenced in the casual booking, but will no longer turn up in search results. To delete a customer, follow the steps given below. 2. 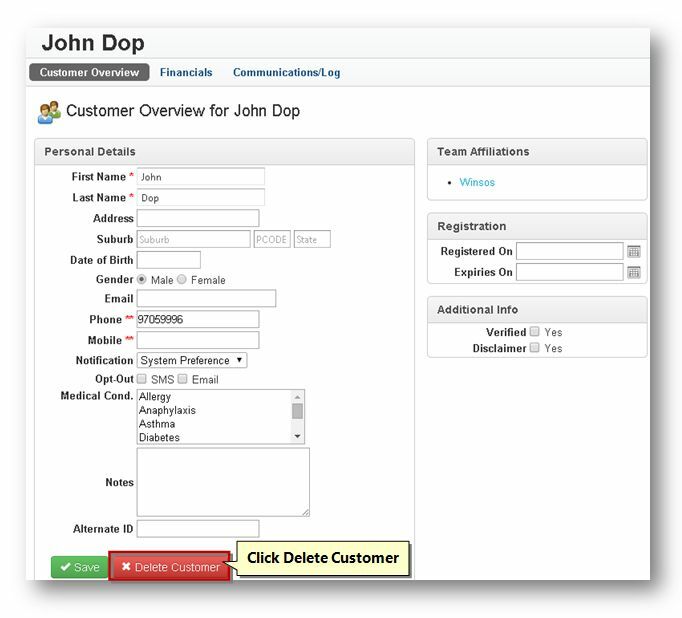 Click the View button on the row of the customer that you wish to delete. 3. Click the Delete Customer button. 4. 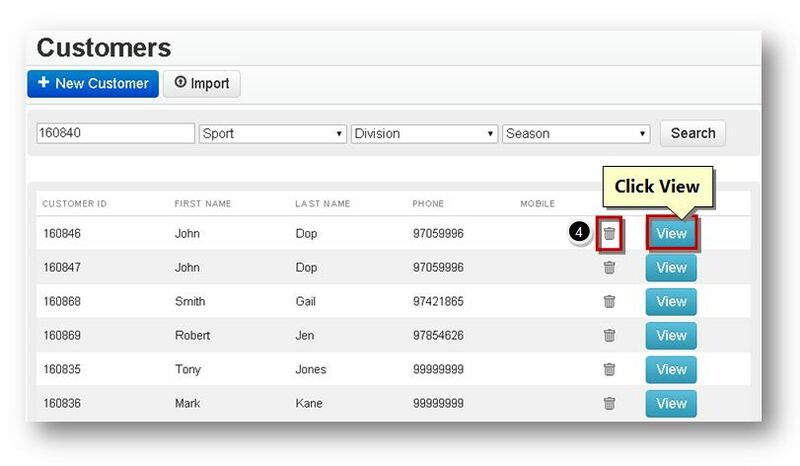 You can delete directly by click the Delete ( ) button in the row of the customer you wish to delete. The message box asking you to confirm the deletion of the customer will be displayed. The selected customer will be removed from the system.